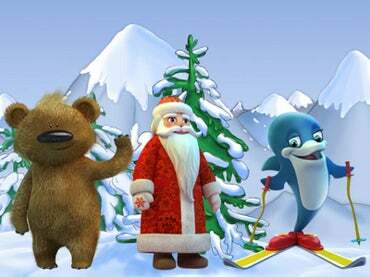 Saturday, the Russian Olympic Committee announced the results of voting for the 2014 Olympic mascots. (They picked a snowboarding snow leopard, and a fluffy bunny and cheerful bear. They're boring.) But one of the 10 nominees didn't even make it to voting. Ded Moroz ("Father Frost"), the Russian version of Santa Claus, was pulled from the competition when it was discovered that the IOC would hold perpetual intellectual property rights to the winning mascots. Ded Moroz had been an early favorite in informal polling, but the Russians weren't about to let Jacques Rogge slap their Santa on any cereal box or Eurovision commercial that came calling. Either that, or Putin had Santa Claus killed, so the snowboarding leopard, his personal favorite, would win.